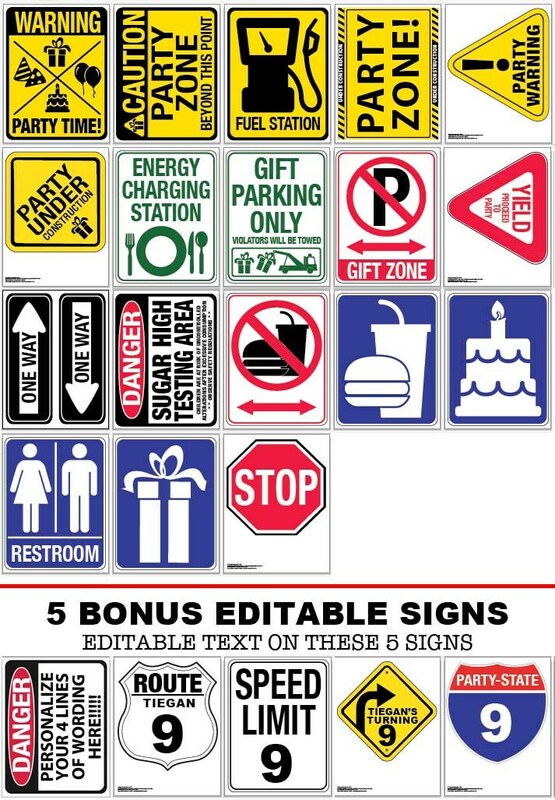 (¸.·´These Traffic Signs by SimplyEverydayMe consists of 24 instant download PDFs including: ★ Plus Information for materials need & paper suggestions. 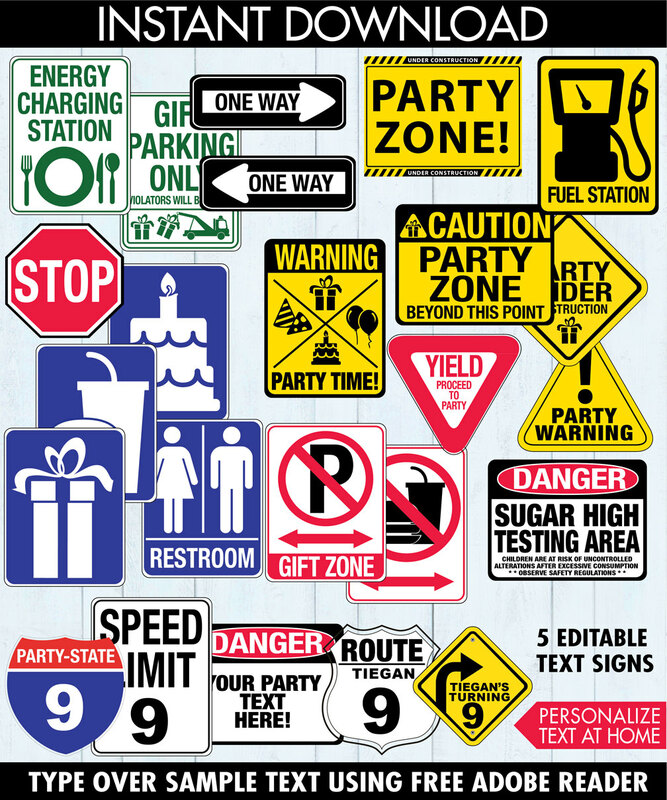 Celebrate your party with these fun Traffic Signs! They're a great addition to your party... shower... or occasion ! 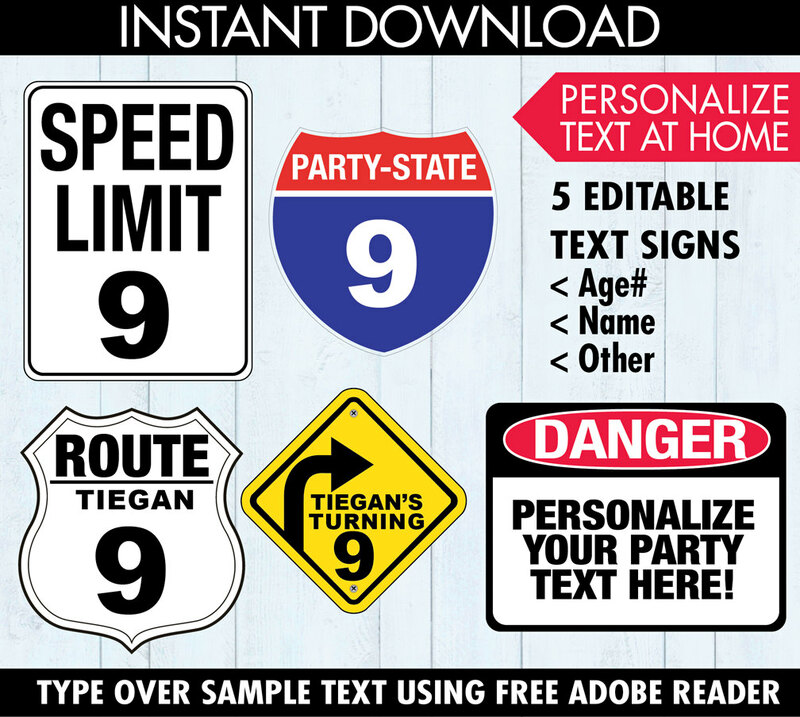 INSTANTLY DOWNLOAD these printable RACE CAR PARTY SIGNS. SOME signs have editable text which you can personalize for your party. Then print & create as many times as you like. 2 - PERSONALIZE TEXT on SOME of the signs by... Simply, open PDF using the free Adobe Reader; highlight sample text; type in party information. EDITABLE text will ONLY work when using Adobe Reader on a computer or laptop, and will NOT work on mobile devices or tablets. NOTE: Signs are NOT formatted for photo printing. These were perfect for our son's 16th birthday...I made garland out of the signs and they were a great touch to mark oir son's milestone turning-16-and-driving themed party. We love these. Thank you! We had so much fun with these signs!